11 clergy from around the British Isles refect on the importance of their own local saint. Thomas Cantilupe was born in Buckinghamshire in 1218. After education at Oxford and Paris, he entered the Civil Service, was ordained and became Bishop of Hereford in 1275. He tended his flock lovingly, but he was also feisty and fell out with the Archbishop of Canterbury, John Pecham, over land rights. Pecham excommunicated Thomas and, in 1282, he set out for the Papal Court to clear his name. He met with Pope Martin IV in Orvieto in Italy and received absolution, but died there, of fever. His bones were returned to Hereford and, from 1287, there occurred a remarkable series of miracles of healing. First, local cases, then, others from further afield people flocked to Thomas’s tomb in Hereford Cathedral. After a long enquiry, Thomas was canonised in 1320. Amazingly, our saint’s shrine survived the Reformation. Recently restored and full of colour, today, it offers a focus for prayers and healing. We find increasingly that people come to the cathedral who may have no particular allegiance to a church, but who are drawn here to pray. In many ways, the shrine provides the same focus that was important to our medieval forebears it’s somewhere that, amid the confusions and uncertainties of life, people can find a place of prayer and healing. The bones of St Thomas of Hereford are believed to heal visitors. Wherever you go in Glasgow, you’re reminded of the city’s patron saint. The subjects of his legendary miracles a bell, a fish, a bird and a tree are emblazoned on the city’s coat of arms and appear on anything from lamp-posts to office blocks. Mungo’s (or Kentigern’s) tomb is housed in the medieval cathedral. In the Middle Ages, there was a pilgrimage equal to one to Rome itself. In modern times, there has been a revival of interest in him and there is a St Mungo Festival every January. Moreover, as he pre-dates denominational differences, all are delighted to come together to enjoy their common Celtic heritage. The focal point is a service in the cathedral nave, in which the city’s leading figures join citizens to witness a time of singing, dancing and colour. Margaret Clitherow probably never went far outside the city of York in her life. Born into a merchant family, she married John Clitherow, a butcher, but then became a Catholic, when the Catholic faith was illegal and was persecuted. She often sheltered priests and gathered people in her house for Mass, until, eventually, she was arrested and charged. To protect her family and friends, she refused to plead, so was pressed to death under heavy weights. Her right hand is kept as a relic in the chapel of the Bar Convent in York and venerated by the many pilgrims who come to honour the memory of an ordinary woman’s readiness to die for what she believed. Every Saturday morning, the Mass once said there secretly is celebrated openly in the Clitherows’ house in the Shambles. Margaret had what people still want today a happy marriage, children, a prosperous business and a certain status. But none of this was her deepest value. Her last gift to her daughter Anne, the shoes and stockings in which she had walked to prison and death, was a symbolic message that challenges us today: be clear about your deepest values and live by them, whatever the cost. St David’s simplicity of living and his devotion to prayer and worship have resonated with Christians in every generation. The final words he spoke on his deathbed ‘Be joyful, keep the faith and do the little things’ speak to us today as much as they did to those in the 6th century. David’s life and legacy to the Church and to the nation are something to be valued and celebrated. Today, St Davids Cathedral lies at the heart of a vibrant community encompassing the city that bears its name and the nation whose patron saint lived and died here. Visitors and pilgrims have found peace and a new sense of purpose in this place of prayer and contemplation. The medieval shrine has recently been restored to provide an opportunity to learn about St David and his message to the people of Wales. 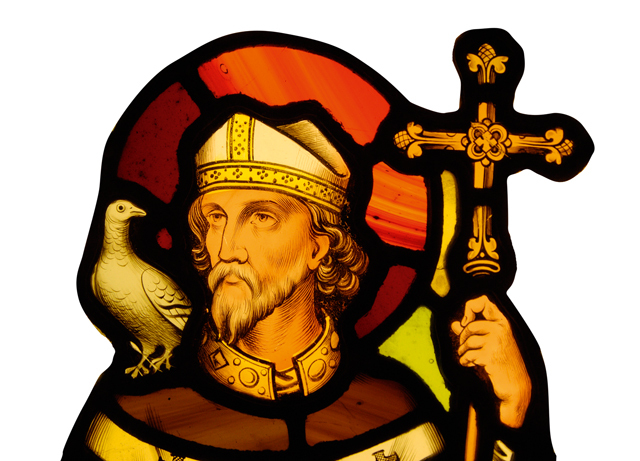 It aims to place pilgrimage back at the heart of our ministry and to enable visitors not only to enjoy the beauty of the building and its surroundings, but also to understand something of St David himself and his relevance to the Church today as well as perhaps even becoming a pilgrim themselves. At the heart of St Albans Cathedral is the shrine of Alban, Britain’s first saint and martyr, who died and was buried here. Even for those who barely understand his significance, the place has power: it is what the Celts call a ‘thin’ place, in which the barrier between this world and eternity falls away. Thousands of candles burn here through the year, lit by pilgrims or seekers. ‘The blood of the martyrs is the seed of the Church’ wrote Tertullian. Just as Alban’s sacrifice contributed to the establishment of Christianity in Britain, today’s pilgrims come to find meaning in the struggles and sufferings of their own life’s journey and to be reminded that, beyond them, there is a God who himself carried a cross and promises victory. In the screen of the Cathedral nave, whose seven original statues were destroyed at the Reformation, seven new ones will soon appear. They will show Alban and six more saints who followed his path of martyrdom, among them Elisabeth, the Romanov heiress who became a nun, martyred by the Bolsheviks in 1918; Dietrich Bonhoeffer, the Lutheran divine murdered by the Nazis in 1945; and Oscar Romero, champion of the poor of Latin America, shot while celebrating Mass in 1980. They remind us that, in every age, those who stand up for faith, truth and justice will find there is a price to pay. Bede records stories of Aidan the Apostle of the English but it is worth searching behind the tales to discover this gentle bishop’s patience, humility and love of the poor. His method of encouraging people into his church was different. He established on Lindisfarne a place of education which drew people by its quality of learning and love of culture. We imagine Aidan as a lone ranger coming from Iona, but he worked in partnership. He came with other monks from Columba’s monastery, worked co-operatively with his kings (Oswald interpreting until he learned the language), formed a community and created a line of disciples.I think of Aidan as a causeway linking people of different languages and cultures, contextualising the Gospel, forming healthy relationships between the secular and the sacred, the church and the ‘state’. His attractive qualities remain and he continues to be a source of inspiration here in Bamburgh. Dr Donald Buttress was commissioned to create a new memorial shrine, marking the site of Aidan’s death, which was dedicated by the Archbishop of York in August 2013. Called from contemplative retirement at Lastingham to Mercia at a time of murky, swirling enmity, Chad (Ceadda) displayed the virtues of humility, patience and intellect. He needed these as he firmly established at Lichfield a see that his four Repton-based predecessors had found difficult to calm. Pilgrims still stream to the cathedral founded in 700 to house his relics. The St Chad Gospels (about 730) whisper truth from vellum to visitor. Joyful angels sing of the divine, as they sang to him at the end of his life. Three iconic spires, at the southern end of the Two Saints Way pilgrimage route, signal the lively burial place of Chad and the nearby well-spring where he preached. Churches and schools throughout the region are dedicated to Chad, not least the Roman Catholic Cathedral in Birmingham (within his own Anglo-Saxon Diocese). The Catholic Archbishop will preach in Lichfield Cathedral on St Chad’s Day 2015. Chad, a bridge-builder himself under the eye of the mighty Hilda of Whitby at the Synod of 664, might be well pleased at this symbol of ecumenism and friendship. age and, at midday, the laying on of hands and healing oil are offered. Prayer requests are left in the church book, telephoned or emailed. Groups and individuals come to experience quiet as the centre offers space for reflection, pastoral care and spiritual guidance. From the visitor’s book, it is evident that people still come here from all parts of the world. Melangell’s prayers, which made this valley holy, still mingle with the prayers of all who come today, making it a special sacred place held deep in their hearts. 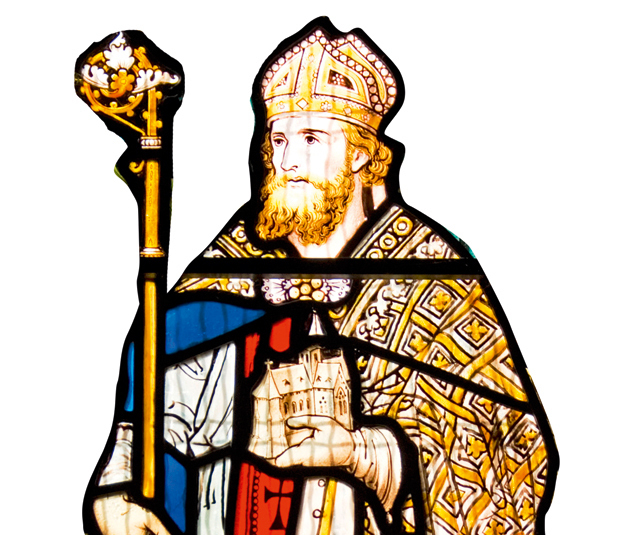 Bishop Osmund, a relative of William the Conqueror, served as bishop of the diocese which included Berkshire, Wiltshire and Dorset from 1078 to 1099. The first cathedral built at Old Sarum was largely destroyed five days after its consecration. Much more successful was the community he established, known for its learning, library and habits of liturgical and musical excellence. Daily prayer and hospitality remain his legacy. Osmund reminds us of a more enchanted world, in which earthly issues and heavenly salvation belonged to the same reality and, through a community of ordered governance, he invested in what we might call social and spiritual capital. It took until 1457 to persuade the papal systems to canonise Osmund and, soon after, his remains were reburied beneath a glorious shrine at the east end of the new cathedral. Then, the world turned on its religious axis and a reformation zeal utterly destroyed this place of veneration. In the past 20 years, an ancient ledger has been placed on that site to remind all who pass by that Salisbury once had a bishop who pursued common good through the strengthening of a prayerful, inclusive community. St Patrick is an icon of reconciliation in Ireland. 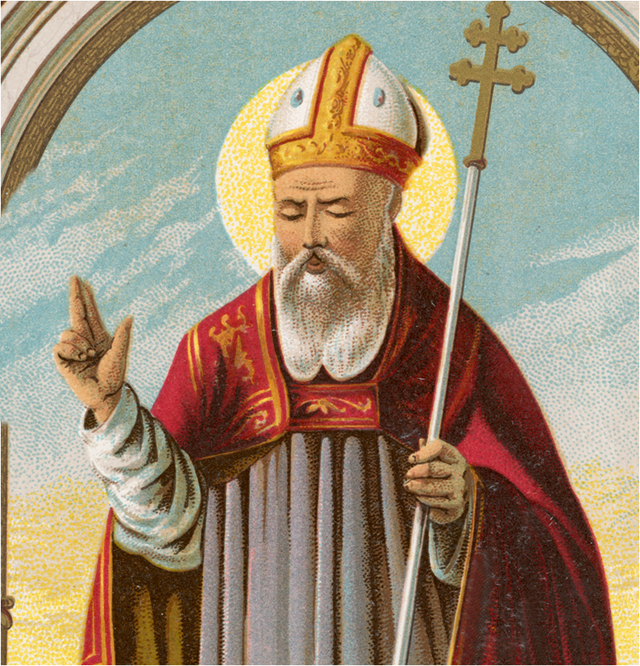 St Patrick brought the message of Christianity to Ireland. For centuries, the Hill of Down, where the Anglican Cathedral now stands, has been recognised as the traditional burial place of the saint and the town is named after him. As Patrick came long before today’s divisions within the Church and within this island, he is seen as promoting reconciliation in a divided community. He is also recognised as a young man who worked to bring about a positive transformation of his society and, in that, also serves as an icon to inspire today’s youth. 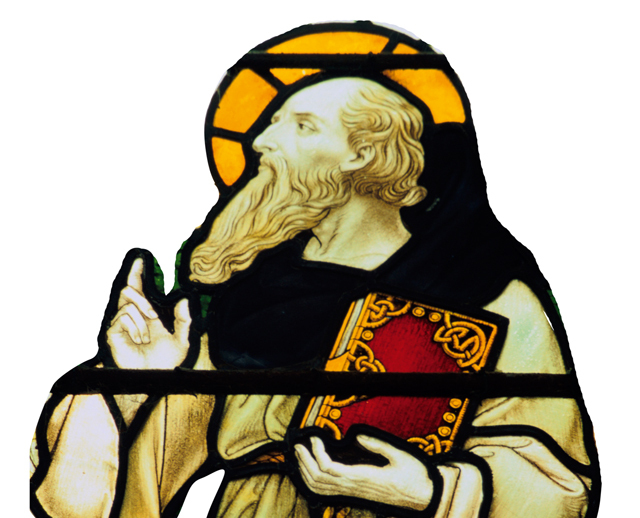 St Columba, whose legacy informs the work of the Iona Community. It seeks to express faith by exploring life’s meaning in the company of others, rather than in isolated worship.